Welcome to Hybrid Saturday with The Cherry On Top. 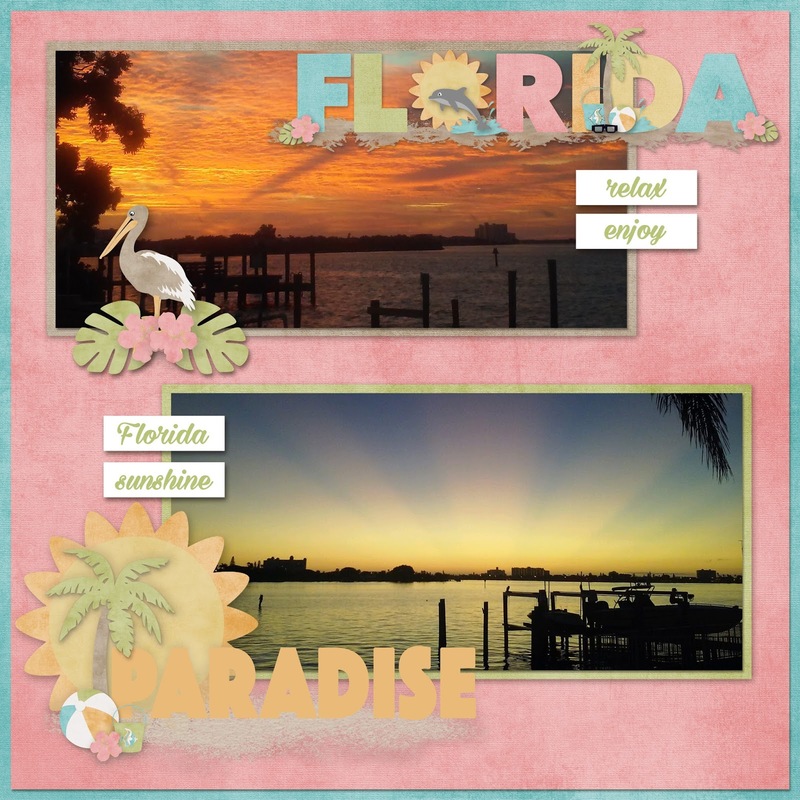 I promised I'd be back with more from our Florida Page Starter kit. 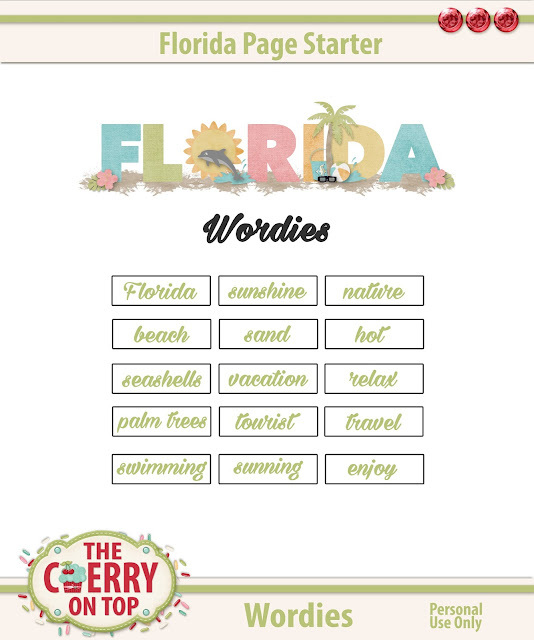 Today, I've got printable word bits or as I like to call them, Wordies. 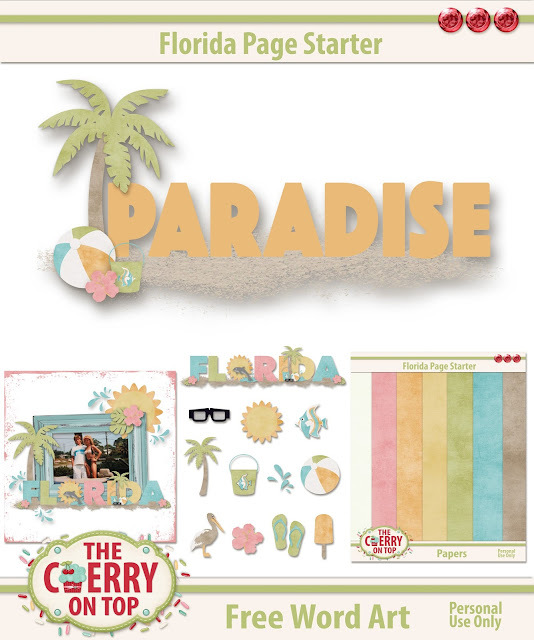 It's a part of our newest Florida Page Starter Set. Keep scrolling to see what it's all about and grab the download. Yesterday, we gave this free word art that coordinates with our Page Starter Kit and above is just one way that you can use it. The shadows are only used in this preview so it will print out nicely, too and you can then use it traditionally if you like. 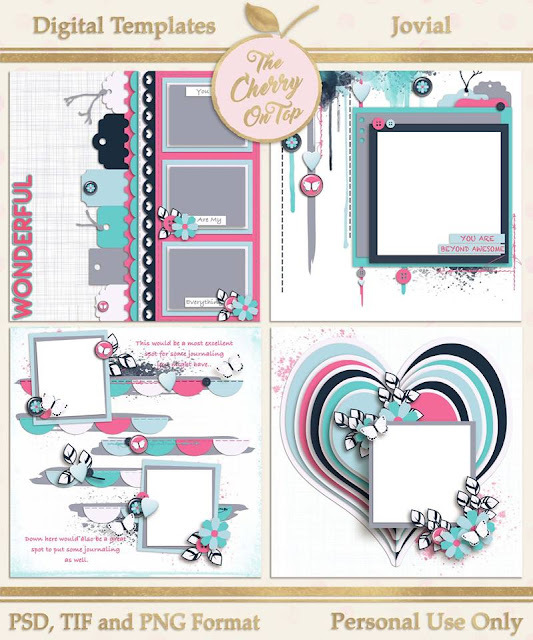 The Page Starter kit is just 1,99 and you get 7 papers, the word art title as well as 12 elements. Again, print, cut and scrap or crop and scrap digitally. If you are into hybrid, we've got quite a few things in our shop that might be of interest to you. 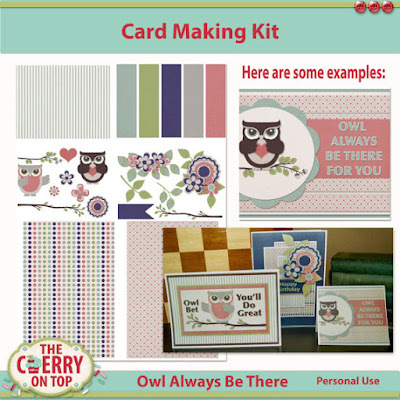 Like this Owl Always Be There card making or scrapbooking kit. Check out Kreative Design Studio, today! Go back and download yesterday's word art freebie and get scrappy this weekend! You may want to scroll through our blog and see all of the great free stuff you may have missed and then follow us here on Facebook, Pinterest and Instagram.